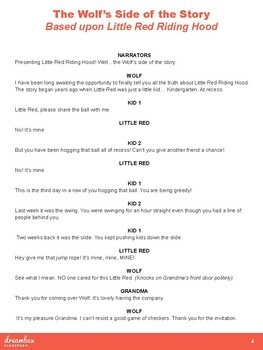 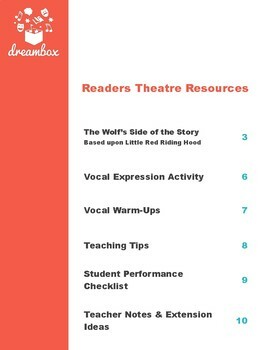 The Wolf's Side of the Story- This script focuses in on the Wolf's point of view during the major events of the classic Little Red Riding Hood story. 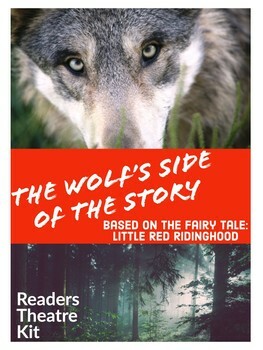 Students will love recounting the story from the lens of the Wolf and discovering how he might have been thinking and feeling towards Little Red. 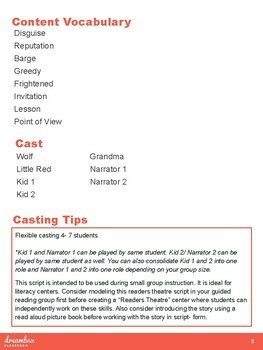 We find out that Little Red wasn't as kind and innocent as the classic story makes her out to be!